The articles and expertise found here on TLNT, on Culture University and Constructive Culture provide a fantastic foundation for a leader to learn how a purposeful, positive, productive culture operates. From making values as important as results to creating an organizational constitution to evaluating climate and relationships — that critical information is readily available. The tough part isn’t gaining the knowledge about creating a healthy work culture. The tough part is implementing these practices and maintaining that healthy culture, every interaction, every day. My “big three” – the three primary metrics I use to assess cultural health – are employee engagement, customer service, and results (including profits in for-profit organizations). Creating a work environment that inspires those three requires that leaders define, align, and refine their desired culture. It won’t happen by default—a healthy culture happens only by design. Let’s look at one organization that’s doing culture right: Assurance, an insurance brokerage in Chicago, IL. They’ve won over 100 awards as a top workplace. Recent awards include the Fortune’s “2016 Great Place to Work,” Chicago Tribune “2016 Top Workplaces List,” and Business Insurance magazine’s “2016 Best Places to Work,” their eighth straight year of winning that honor. That’s impressive. 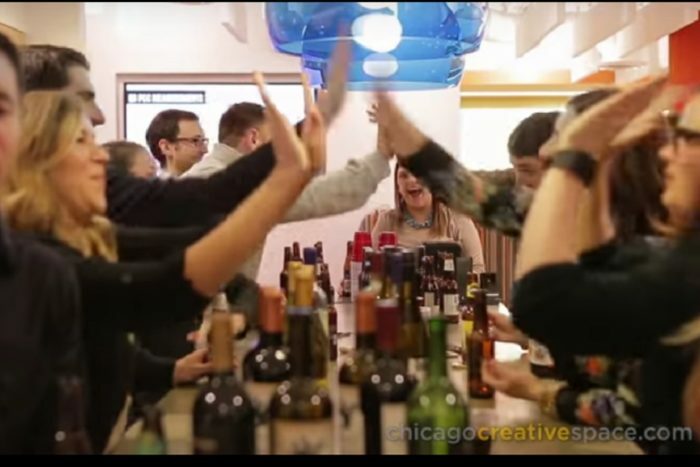 This video, produced in 2015 by Chicago Creative Space, offers a terrific overview of Assurance’s carefully crafted work culture. Employee engagement across their 400 team members is excellent. As part of the “best company to work for” process, Assurance employees are surveyed regularly. Steven said, “In addition, our own HR team sends out routine pulse surveys to all employees that ask a series of questions on areas such as benefits, culture, and job satisfaction.” Pulse surveys — weekly surveys that require less than 3 minutes for employees to complete — are an especially effective means of staying in touch with employee perceptions about the company. I asked, why 11? Steven laughed and said, “Well, it’s a tribute to the movie Spinal Tap and adds to our culture of fun.” In addition, Assurance has also taken the time to quantify their “DNA.” The Assurance DNA stands for “Dominate. Navigate. Appreciate.” These three concepts are the purest reflection of their office culture. Steven said, “In August 2016, Assurance was selected as a ‘Best Practices Agency.’ Our team qualified for this status by ranking among the top performers in the annual Best Practices Study conducted by the Independent Insurance Agents & Brokers of America (IIABA) and Reagan Consulting. Most leaders focus exclusively on results and profits — yet workplace culture drives everything that happens in your organization, for better or worse. Assurance has a purposeful, positive, productive work culture — because their leaders see culture as a competitive advantage. And, they see that it’s the right thing to do to attract and retain talented, engaged team members. Don’t leave the quality of your work culture to chance. Be intentional. Set clear standards for performance and values, and religiously measure them frequently. The payoff? Way more fun. Way more engagement. Way happier customers, and way more desired results. Questions to ponder: What are your company’s ratings on my “big three” – employee engagement, customer service, and results and profits? Where do your company’s leaders spend the most time and energy today?